The Pellichoopulu Director Tharun Bhascker is ready with yet another youthful entertainer titled as ‘Ee Nagaraniki Emaindi’. 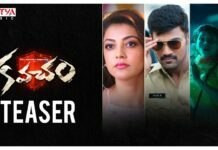 On today, The Ee Nagaraniki Emaindi Movie Trailer has been released here on Today and getting massive response from the fans. Ee Nagaraniki Emaindi Film mostly stars young actors and senior producer Suresh Babu is bankrolling the movie. Vivek Sagar has composed the music. 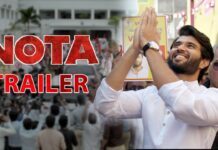 To speak about the official trailer, The two-minute Ee Nagaraniki Emaindi Movie Trailer takes us on a fun ride with quickly etched characters and peppy milieu. The Ee Nagaraniki Emaindi Trailer presents the tale of a group of fun-loving and happy go lucky friends who pursue different goals. Anisha Ambrose is the only familiar face in the cast and the rest and new appearances. 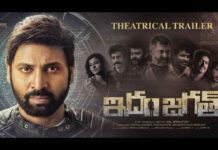 Vishwak Sen, Anisha Ambrose Sushanth Reddy, Venkatesh Kakumanu, Abhinav Gomatam and Simran Chowdhary essay crucial roles in the movie.